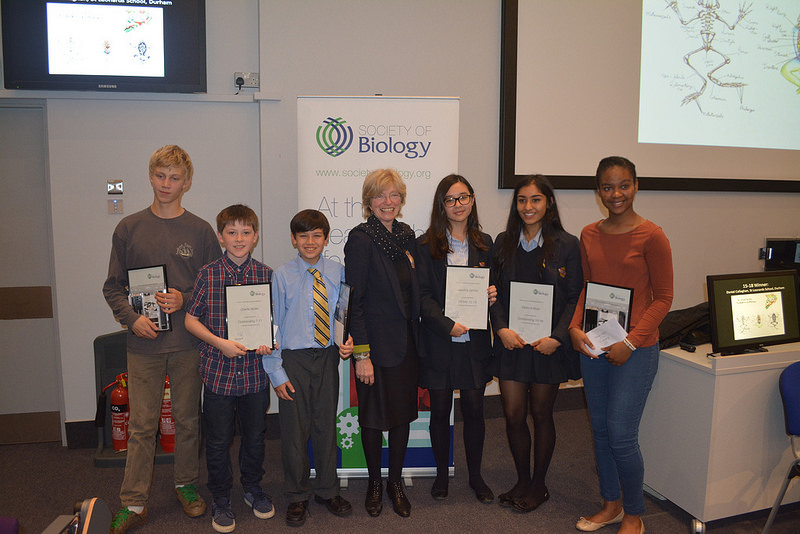 Last Friday, Block 3 students participated in the ‘Bio Art Attack’ competition run by the Royal Society of Biology as part of Biology Week which sees events take place all over the world to celebrate biological science. As part of the activity we went for a walk around site to collect autumn leaves and late flowers. We went back to the lab and used what we collected to create a palisade cell art piece. After this, we used the spare leaves to make landscape and nature scenes, which we also sent off to be judged for Art Attack. Other Block 3s have been working on models and posters of plant and animal cells for the competition. Last week a budding group of sixth form biologists undertook dissections, as a celebration of Biology Week. Everyone seemed to think that chopping up rats and cuttlefish was a fun activity for a Thursday evening. Our specimens were swiftly dismembered and examined giving an invaluable insight into some basic anatomy. I hope that we are able to hold future dissections which will be met with equal enthusiasm. Every year the Society of Biology run a competition aimed to celebrate specimen drawing in schools. The award called the Nancy Rothwell Award is open to pupils in three age categories (7 to 11, 12 to 14 and 15 to 18), and drawings of plant, animal and microscopy specimens are welcome. 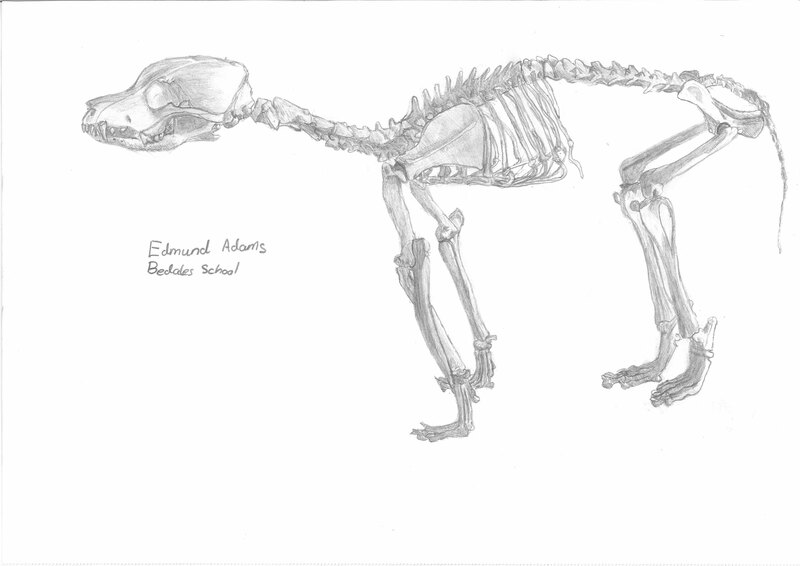 This year Edmund Adams, currently in Block 4 submitted a drawing of the skeleton of a dog and he was awarded Outstanding. He was awarded his prize; a set of drawing pencils, a commemorative certificate and £25 on the 16 October at the Royal Veterinary College Biology Week event. This is an amazing achievement; Edmund is the first student from Bedales to have entered this competition.